Showing results by narrator "Tory Johnson"
For Tory Johnson, weight was always an issue; although she felt ashamed of how she looked, Tory could never find the will to change. When a network executive warned her that if she didn't lose weight her television career could be in jeopardy, Tory experienced something profound: A Shift. She knew she didn't just want to change, she needed to change. 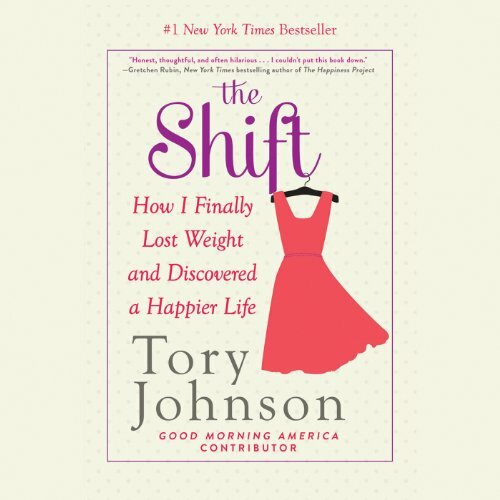 The Shift begins with this eye-opening incident and follows Tory on her weight-loss journey. Buoyed by her success in weight loss, Tory began to apply the principles she had learned through The Shift to these other areas - work, relationships, money, and more - with the same patient tenacity. To her joy she soon saw that her Shift had only begun! In Shift for Good, Tory delivers her remarkable results: how doors opened, relationships deepened, opportunity abounded in every direction - and all through taking small, simple, persistent actions.